Grand Hampton is a one-of-a-kind master planned community in the growing New Tampa area that offers a variety of living options ranging from maintenance-free villas to semi-custom estate homes. The homes in Grand Hampton sit within a community that was designed to preserve the natural beauty and distinctive landscape of Florida. The developers accomplished this by sprinkling the 1100 homes in the 600-acre development among pristine forested areas, lakes, and wetland preserves. They left nearly 300 acres of the community untouched for open areas and natural space. So Grand Hampton is filled with serene sidewalks and trails for walking, running and simply enjoying the great outdoors. But, there is also a wonderful recreation center that includes a heated spa, Olympic lap pool, and lagoon pool with a kid-friendly water slide. The Recreation Center also has a fitness center, a half-basketball court, tennis courts and much more for the whole family to enjoy. Grand Hampton offers a wide array of home styles built by some of Tampa’s best home builders. You’ll find unique floor plans, landscapes, and other design elements that fit your and your family’s specific style. Homes are available from prices ranging from $200,000 to $1 million plus, so you you can choose from a variety of spectacular homes at many different price points. 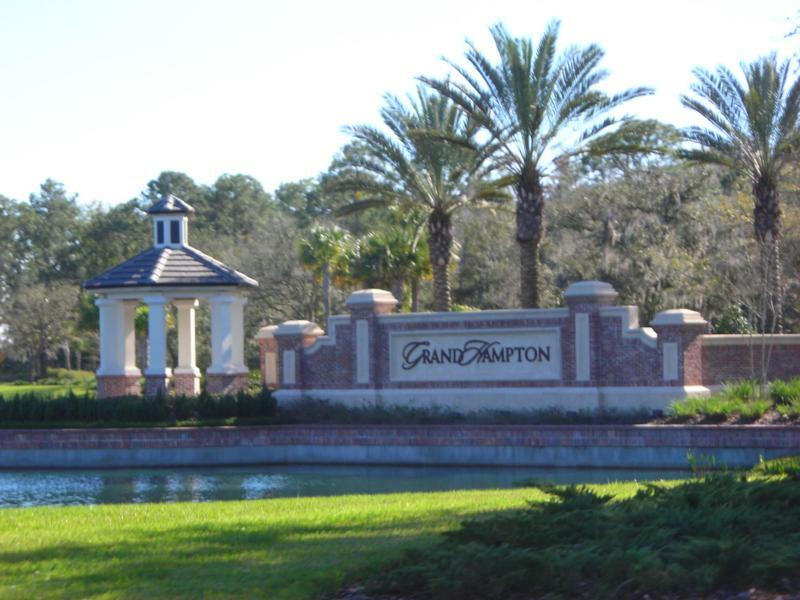 Grand Hampton is also one of the few neighborhoods in the Tampa Bay area connected by LandMar’s eStreet Neighborhood Network. This innovative communications technology connects Grand Hampton’s residents to the rest of the world with Tampa’s most advanced high speed internet, and provides superior digital television, and more! LandMar’s eStreet Interactive, also offers residents the opportunity to connect to neighbors and community members via an exclusive, online community that empowers them to build strong, safe, and more personal relationships with each other. All of these amenities are included in the association fees. Grand Hampton’s unique mix of traditional Florida beauty and innovative technology provides residents a one-of-a-kind living experience. If you would like to discover all that Grand Hampton has to offer, call us today at 813-431-2840. We are here to help you find a home that perfectly meets your needs. We’ve sold over 4800 homes in the Tampa Bay Area, and our experience, commitment, desire to exceed expectations, and best-in-class customer service guarantees your success!